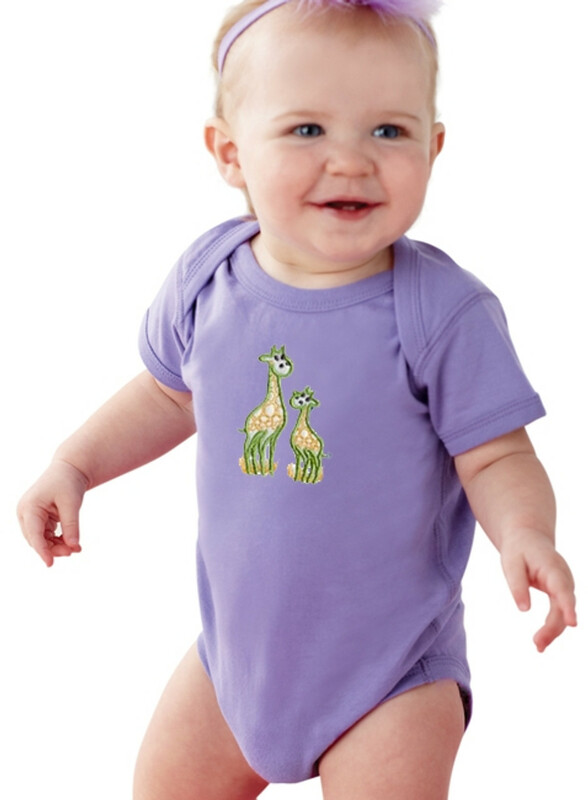 Personalized apparel in infant sizes. We've taken the time to put together a few sets for you with embroidered bodysuit and either a tutu or diaper cover. We've even put in an accessory to make it a really cute outfit for baby. Infant Hot Pink Pants Set - 12-18 mos. Infant Peach Ruffle Set - 12-18 mos. Infant Polka Dots - 12-18 mos.